The August 25 Alinghi press conference, in Genoa, was preceeded by a sailing session, which photographers and TV crews filmed from RIBS, whilst journalists watched from the decks of the superbly restored classic 1929 megayacht Haida G.
It was a perfect opportunity to mingle, chat, enjoy bacon butties - megayacht style - and generally get a feel for the Alinghi mood, before the more formal afternoon proceedings. 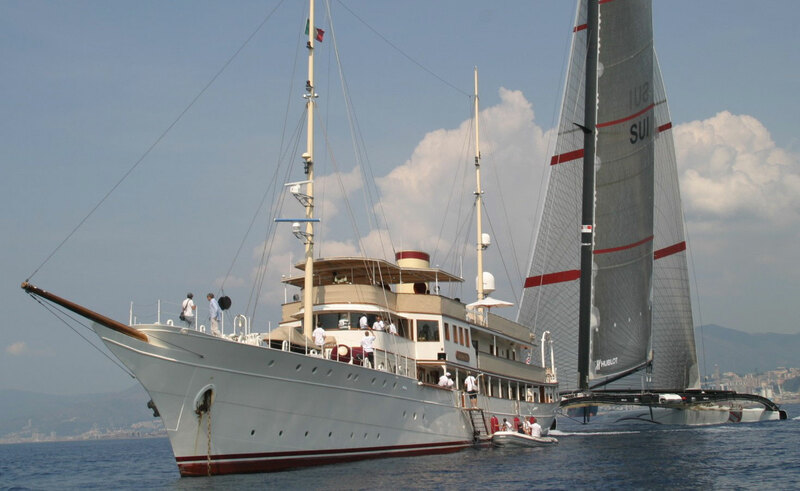 The boat is far more manoeuvrable than most expected; tacking quickly just astern of the Haida G and circling the megayacht to give everyone a good view. From just a few metres away, the engine cannot be heard until some manoeuvre is performed. The mood is relaxed, bouyant and confident, the confidence that comes from being a close knit team that feels it is on its third successful America's Cup campaign. There don't seem to be any doubts; this team expects to win AC33. The team and the boat will move out to Ras al Kaimah at the end of September, when the weather there is cooler. The ship carrying Alighi 5 will take about 2 weeks to get to the venue. The next mast will be about 61 metres, but don't expect to see it any time soon. Will Ernesto helm in the match? It's certainly a possibility as he has vast experience of racing this type of boat, but no decision has yet been made. When it is made, it will be a collective decision, based solely on who is likely to do the best job. Smiles fade when courts are mentioned and are replaced by looks of exasperation. Everyone wishes BMW Oracle would stop taking legal action and just get on with preparing for the match, but they don't expect it to happen any time soon. Nobody wants to predict the next BOR move, but the lack of moves to make the boat measure and the recent signing up of David Boies, leads some to wonder whether Larry is seeking an escape route to avoid getting beaten on the water. Well Murray, what about water ballast? Murray Jones: We don’t have water ballast …………. yet. BYM News: Will you have? Murray Jones: Most likely, we’re testing that, which is why you’ll see crew members in places you might not expect. We’re testing a lot of things, looking for mods that could make the boat even faster. BYM News: What are you building now? Murray Jones: Bits and pieces, we haven’t stopped that’s for sure; you can’t stop there’s always something you can try out. BYM News: Will you have a wing sail? BYM News: We heard you were out in 22 knots. Murray Jones: Well we went out in 15, then it built and kept on building. Dirk [Kramer] and Rolf [Vrolijk] went a bit white knuckled, but it was fine, nothing broke. Lorenzo, what’s the big difference between trimming by computer and trimming by hand? Lorenzo Mazza: Trimming by hand we can have a direct impression of how much power is available, because we can talk to a guy and ask him to get more pressure, or not. With the buttons you can’t talk to a human, so it’s a case of stepping on the button and either it’s working, or its not. BYM News: So, is it a big handicap not having human feedback? Lorenzo Mazza: Actually it’s nicer; you can do so many different tasks at the same time, if you had a man on a winch in a traditional position you would not be able to do so many things, simultaneously, unless you had many, many more people. BYM News: Before you sailed the boat, did you use a simulator to see how things would work out? Lorenzo Mazza: No, we didn’t. After some instruction we used the system and it really is amazing how simple it is to be on board. BYM News: Is the computer “learning” from what you do? Lorenzo Mazza: We use the computer to collect data, which is then interpreted and analysed to find the best set ups and when it’s possible you try to replicate those set ups. The computer does not operate the boat. BYM News: How many trimmers are there on the boat? 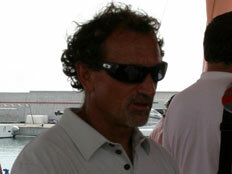 Lorenzo Mazza: The usual number; I trim the gennaker and we have another foresail trimmer and a mainsail trimmer. BYM News: You’ve always been a monohull sailor until this Cup, how do you feel about multihull sailing? Lorenzo Mazza: I like it a lot. I really enjoyed last year on the Extreme 40. For sure, it isn’t a very technical boat, but the racing was quite dynamic and challenging, the way the boat reacts, the way it can sometimes get critical made it interesting. 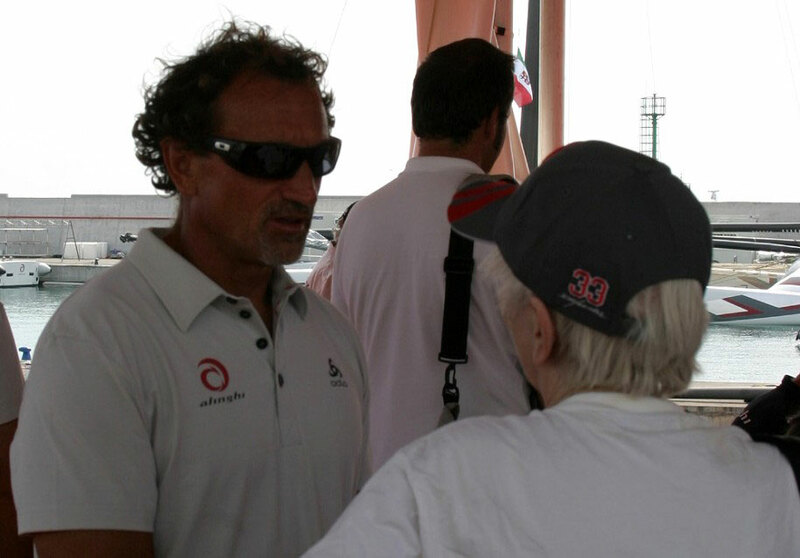 BYM News: What would happen on Alinghi 5 if things got critical? Lorenzo Mazza: It depends how critical they would be! I might have to jump out of the boat. We did capsize twice last year and you have the choice of jumping off, or staying with it and hoping you’re in the right spot when it’s over. It would be the same with this boat, but we will try not to get even close to that. 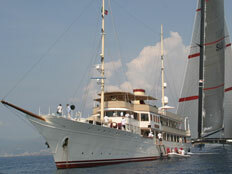 BYM News: What’s the difference for you between this America’s Cup and the last one? Lorenzo Mazza: Sailing this boat is fun, but it would be even more fun if there were more boats, but maybe that could come later. 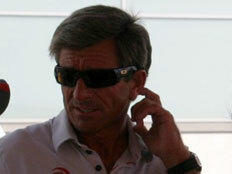 Brad, do you think the next America’s Cup might be a multihull, multi-challenger Cup? Brad Butterworth: I think that once you sail these boats you won’t want to go back to the old boats, so you’ll end up sailing these boats. If you’ve got a Challenger of Record that’s not hostile and you can decide a size, say it can be this by this, then you’ve got your boat and away you go. BYM News: It would be very different tactics from racing monohulls, wouldn’t it? Brad Butterworth: The refinement that you got on the V5s and the way the tactics got to where they were in AC32 happened over many, many years. I think this will just be a faster version and you would refine the boats and the tactics would refine themselves to be the same sort of thing, but at a higher speed. These boats are much easier to sail, much more forgiving. You’ve got to be really working at it all the time to keep a V5 boat going. BYM News: Do you see power as becoming mandatory for future boats like this? BYM News: You can sail efficiently without water ballast though? Brad Butterworth: Yes, water ballast is something you can look at and use if you want to; you bring it on and take it off as you see fit. BYM News: I’m not quite clear on the measurement procedure that allows water ballast, after the boat has been measured. Can you go through it? Brad Butterworth: If you allowed teams to ballast their boats for measurement, just about any boat would measure, so the boat has to measure dry. If you have to bring ballast on board to make the boat measure then you must sail with that ballast in the same position in the races. It’s something that goes on in a lot of other regattas around the world. So, you can take on water ballast, after you’ve measured; it’s the only way you can measure the boats fairly. It goes back a long time; the old Whitbread 60s had water ballast, but we never measured the boats with the ballast on. The boats had to measure without it, but you could add it afterwards to enhance the performance of the boat. Basically, what we’re saying is you can do whatever you like; the design rule question is over, the rule that’s not over in this case is the 90 x 90. BYM News: What about the rudder? Brad Butterworth: Well the boat has to be 90 feet long on the waterline. BYM News: Including the rudder? Brad Butterworth: If it’s adding waterline length then it has to be including the rudder. BYM News: You’ve basically used the rule Ehman wrote in 1988, haven’t you? 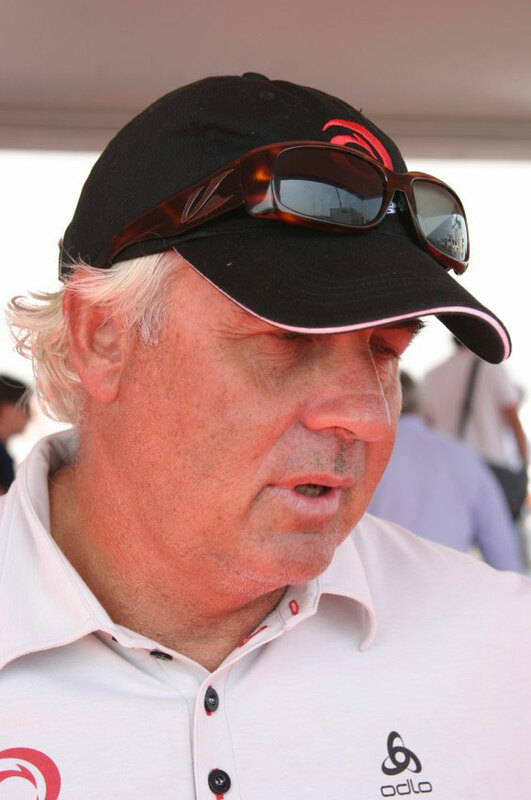 Brad Butterworth: In 1988, you had the same thing going on, except that one team had a multihull and the other had a monohull. All we’ve tried to do is keep as close as we can to what happened in the past. Our argument has been all along that if it was fair when America was the defender of the America’s Cup, it must be fair with the same rules now. BYM News: For the ’88 measurement committee they had someone from each club and an independent. Will you do the same? Brad Butterworth: I don’t think so. I think we’ll just going to run with a measurer. We haven’t given it much thought, but I think a measurer and someone to hold the other end of the tape could do it. 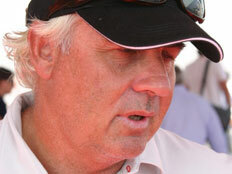 BYM News: Will the ISAF appoint the measurer? Brad Butterworth: I don’t think it’s in their brief, but we’d be looking for that. I think as long as you use ISAF accredited personnel you should be above reproach in terms of how the rules are conducted. In the past that’s the way it’s been and the propaganda that’s been put out by those guys is just bad for the sport. BYM News: How does the ISAF feel about it? Brad Butterworth: You’d have to ask them, but they run races all around the world and you don’t get this. You do the Big Boat Series in San Francisco and you don’t send your lawyers over first to discuss what the rules are about. You just show up and race under their rules. 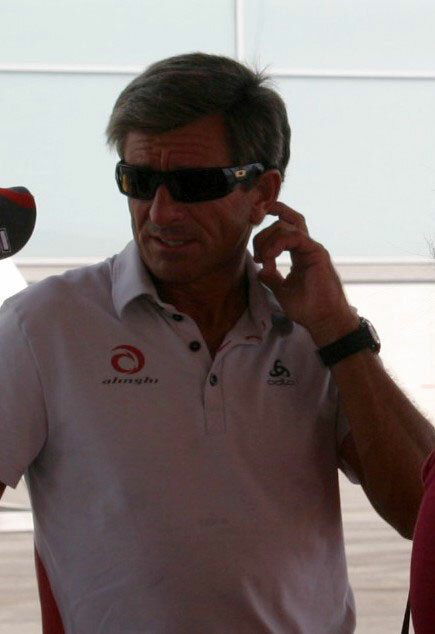 Previous story: Ernesto Bertarelli introduces a new sponsor and - together with Brad Butterworth and Murray Jones - explains things about Alinghi 5 and the Alinghi team.